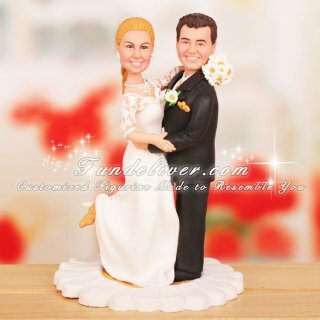 This is a completely customized daisy theme wedding cake topper ordered by one of our customers. 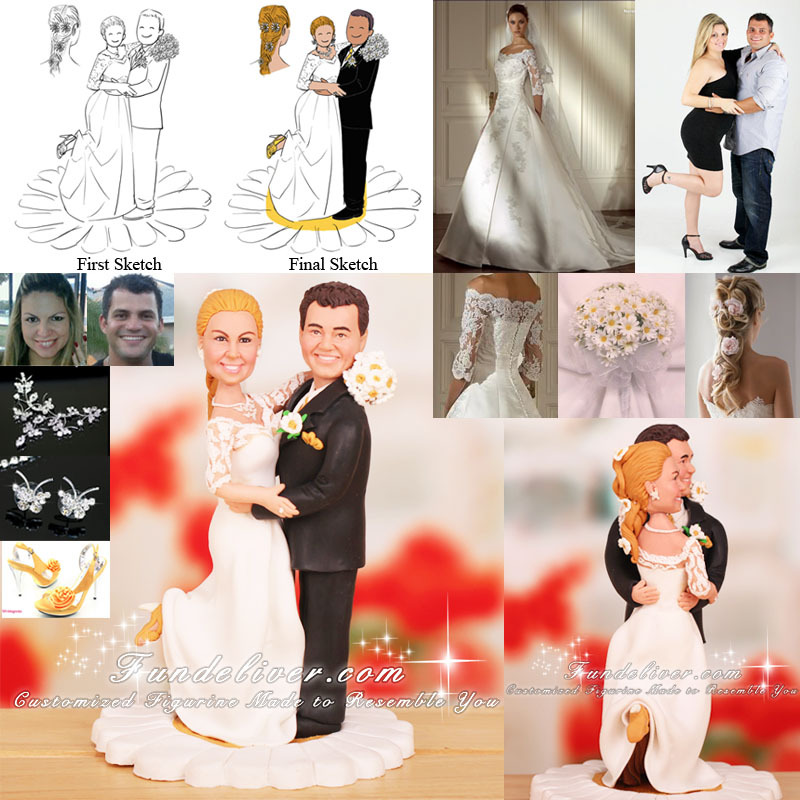 They would like the bride and groom figurine to be holding hands with bride’s leg up, showing her yellow sandals. However they don’t want them to be totally looking at each other, instead turning their face forward, so we can see the couple faces. The groom wears a black tuxedo, white vest with yellow tie. He has yellow handkerchief matching his tie. He has a white daisy with yellow in the middle as his boutonniere. The bride’s bouquet is all white daisies. The handle part of her bouquet is yellow, matching her shoes and the groom tie and his handkerchief in his black tuxedo. We noticed the couple arranged daisies in many parts of their wedding, so we designed a daisy base, white petal with yellow in the middle to match their wedding. Love this gerbera daisy cake topper? What kind of flowers do you want to incorporate in your wedding?